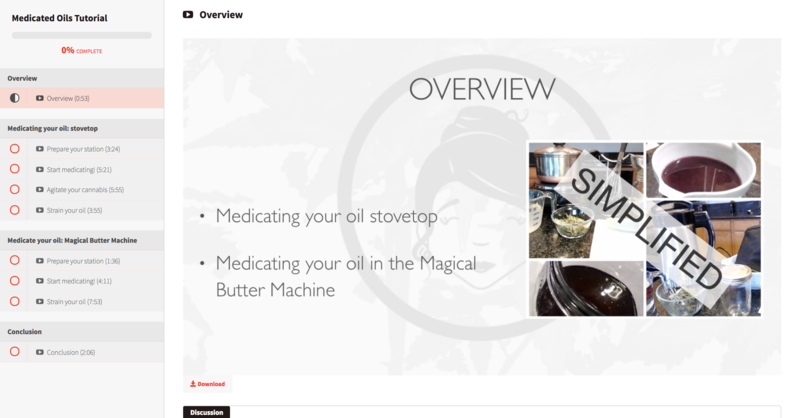 Learn to medicate oils stovetop & in the Magical Butter Machine! 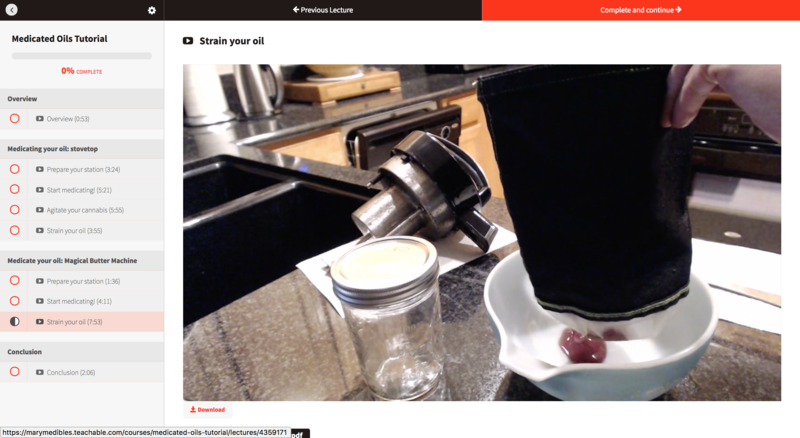 Save money by medicating your own oils! 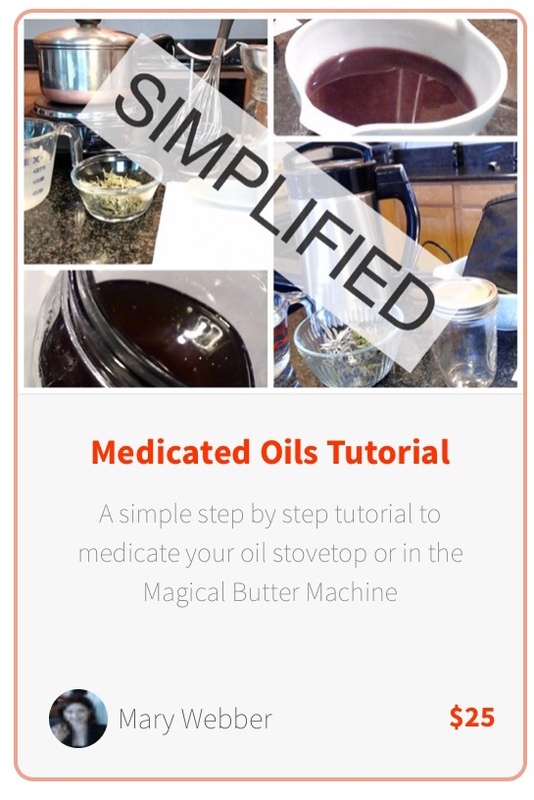 Note: this is an online video training courseThe basic of the basics, Medicated Oils Tutorial is a simplified course that focuses strictly on medicating your chosen oil. 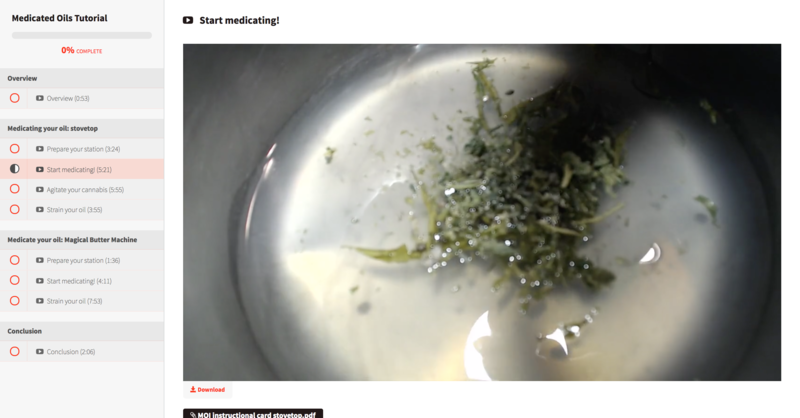 You will receive stop by step instructions on medicating stovetop and in the Magical Butter Machine. You'll also receive a list of herbal infusers on the market, should you be interested. 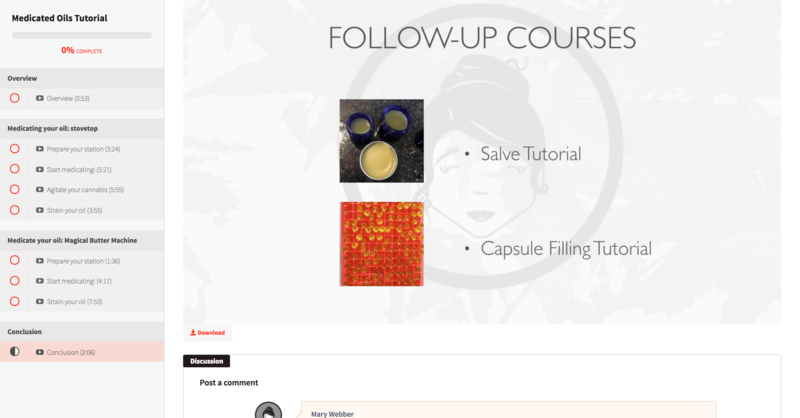 The main benefit of this course is that you can learn to make cost-effective medicaments at home with little effort. 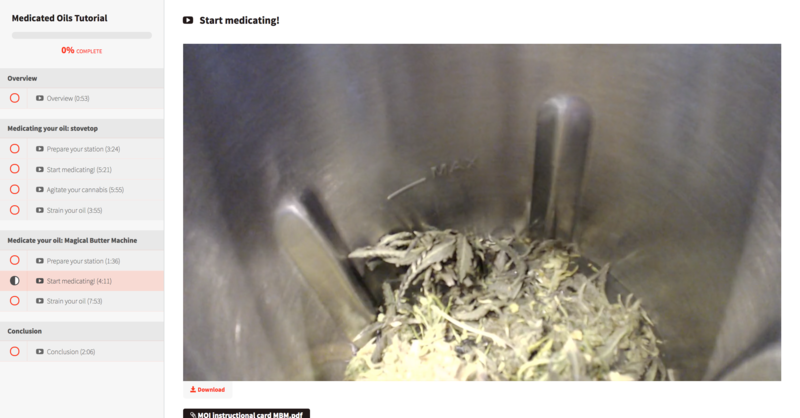 Tinctures. 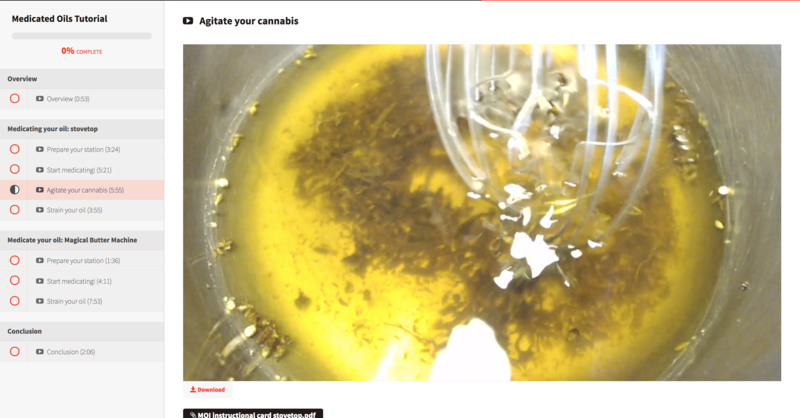 Versus buying in a dispensary for $25-230, using the recipes inside your cost per ounce will only be around $4-8! Capsules. Medicate your own coconut oil capsules to reduce your cost from $3-$5 per capsule to 20-40¢ per capsule! 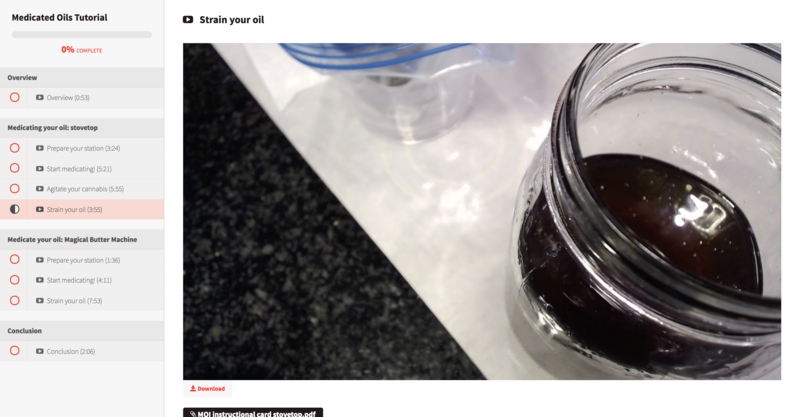 Topical oil. Reduce from $40 per ounce to $7-14 per ounce! *These prices are a rough estimation based on purchasing bud from dispensaries and medicating variety of oils. 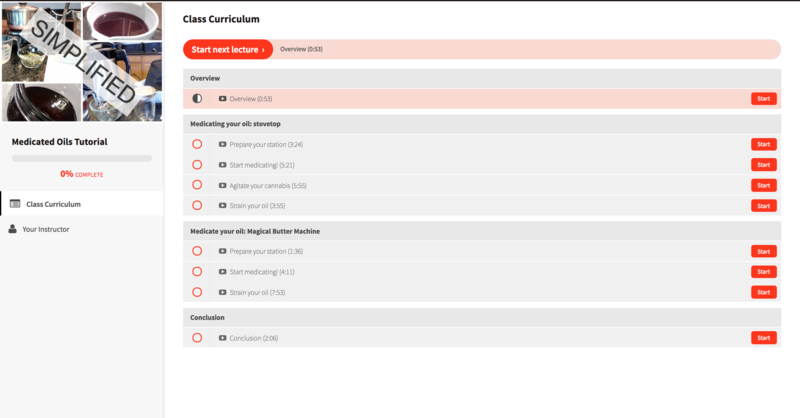 Additional Requirements: This is a digital course. You will receive a direct link and activation code along with detailed instructions to access this course upon completion of your purchase.